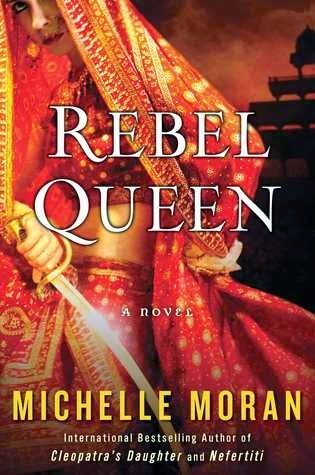 Told from the perspective of Sita, one of the guards in Lakshmi's all-female army and the queen’s most trusted warrior, The Last Queen of India traces the astonishing tale of a fearless ruler making her way in a world dominated by men. In the tradition of her bestselling novel Nefertiti, which Diana Gabaldon, author of the Outlander series, called “a heroic story with a very human heart,” Michelle Moran once again brings a time and place rarely explored in historical fiction to rich, vibrant life. Oooh!!! I will have to check this out considering it is about my country's history! This one sounds good! I'll be on the lookout for it! Today I'm waiting on Dead Wake by Erik Larson. Oh wow this sounds really interesting. I haven't read a lot of historical fiction but the ones I have read I have really enjoyed. I will be checking this one out further, thanks! I almost requested this one to review... the author's writing is hit or miss with me, but I'm happy to see her returning to her "roots," so to speak. Good pick! Ooooh, I like the sound of this book! I know the author does a lot with historical retellings and such, and this one definitely has my interest. Cool pick! Thanks for sharing!